Think You Know Who’s Going to Win a Tony This Year? The Tonys are practically minutes away, and we are in total Tony spiral: obsessing over numbers, stars’ outfits and, of course, the winners. And we bet you’re just as Tony obsessed; that’s why we want to hear from you. 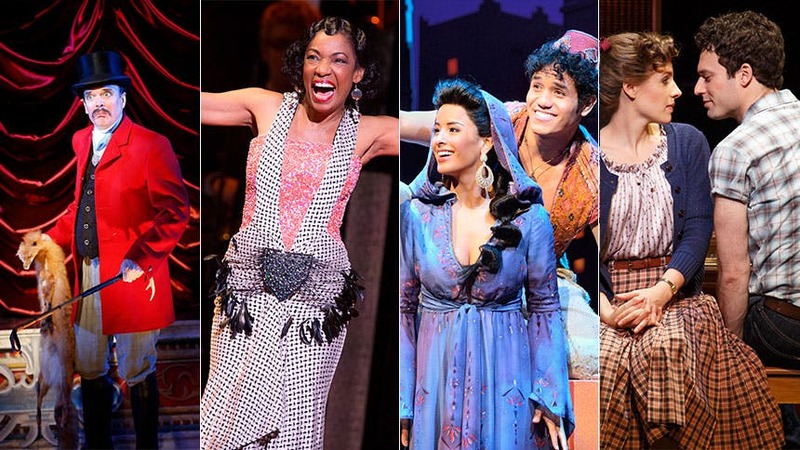 BroadwayBox is giving you the opportunity to predict the 2014 Tony winners for a chance to win a $500 gift card. To enter, click the link below and tell us who you think is going to take home Tony glory in all 26 categories before 5 PM on June 5, 2014. It’s as simple as that kittens. Check out the official rules and regulations here. *NO PURCHASE NECESSARY TO ENTER OR WIN. A PURCHASE WILL NOT IMPROVE YOUR CHANCES OF WINNING. ODDS DEPEND ON TOTAL NUMBER OF ENTRIES RECEIVED. VOID WHERE PROHIBITED. Sweepstakes only open to legal residents of 50 U.S. states and D.C. who are 18 years or older. Entry forms accepted from 10 a.m. ET on May 27, 2014 until 5 p.m. ET on June 5, 2014 at https://www.surveymonkey.com/s/bboxtonywinners. Limit one (1) entry per person and per account for entire sweepstakes. See Official Rules and full terms and conditions at http://www.broadwaybox.com/sweepstakes/TONYwinner/.